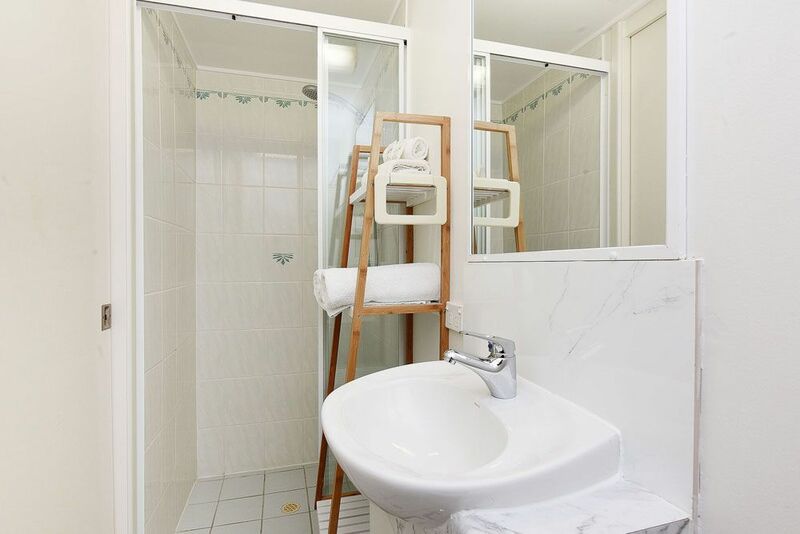 Be surprised and delighted on entry to this bright and fresh, newly refurbished, 3 bedroom apartment on level 2 of Lindomare Apartments. 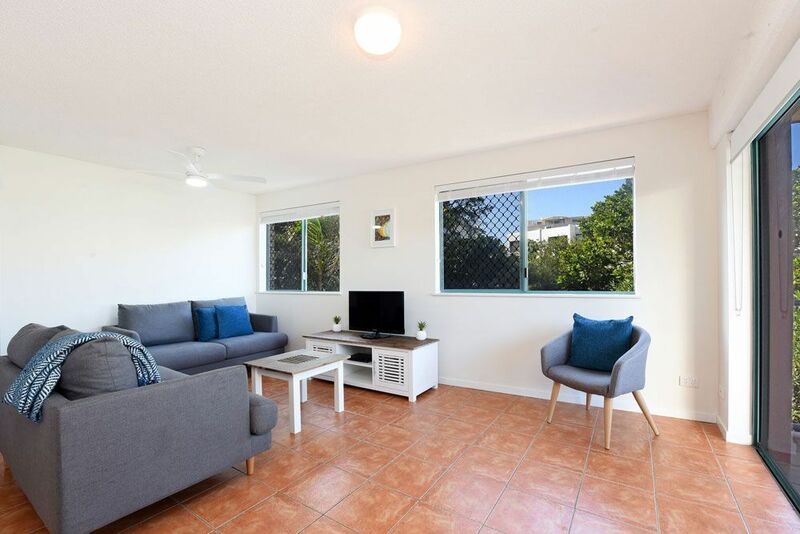 So very spacious and attractive with a casual, beachside vibe, the happy tones of surf grey and sea green scattered across the living space and kitchen area complement it’s proximity to Kings Beach. 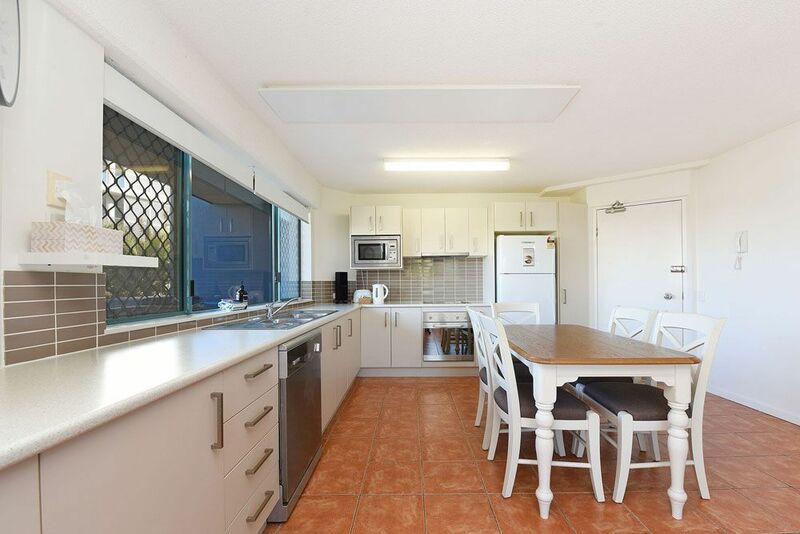 Meal preparation has been made so simple with a fully equipped kitchen including stovetop and oven, dishwasher, microwave, large capacity fridge, ample pantry and utensil storage and all culinary tools that you could possibly need while enjoying your home away from home. For families with younger children, the convenience of a high chair is a thankful and useful addition. 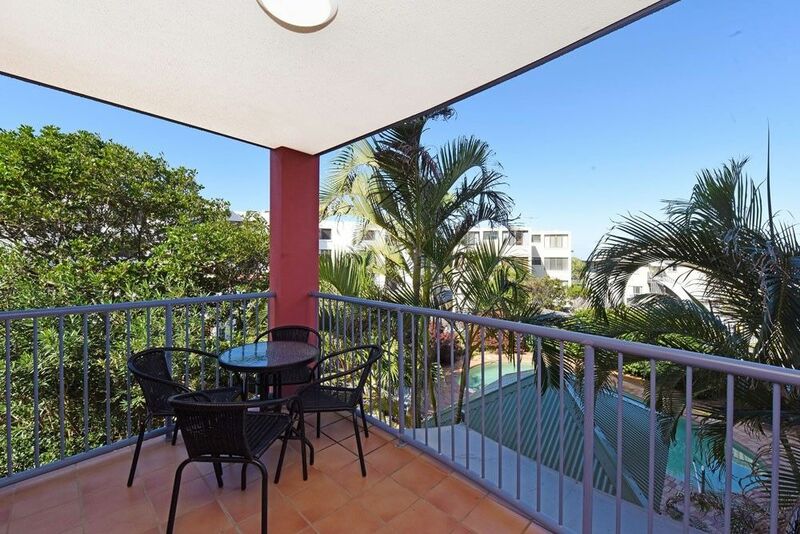 Overlooking the pool, the balcony is furnished for outdoor refreshments and is spacious enough for relaxing in the beachside air. A flat screen television can be enjoyed from the comfort of stylish new lounges, with a ceiling fan to keep you cool in the ample space of the living area. 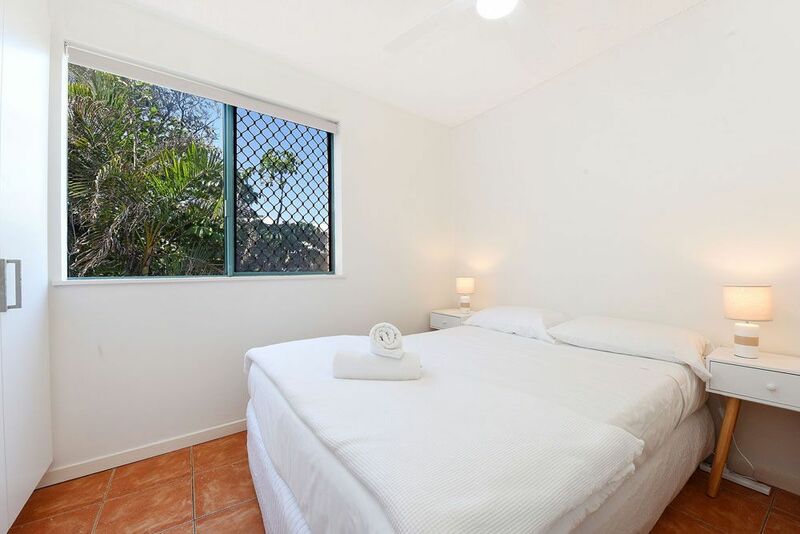 Fresh seaside tonings continue in the master bedroom, which is furnished with a Queen ensemble, built in wardrobes, ceiling fan, flat screen television and adjoins a newly renovated En suite bathroom. 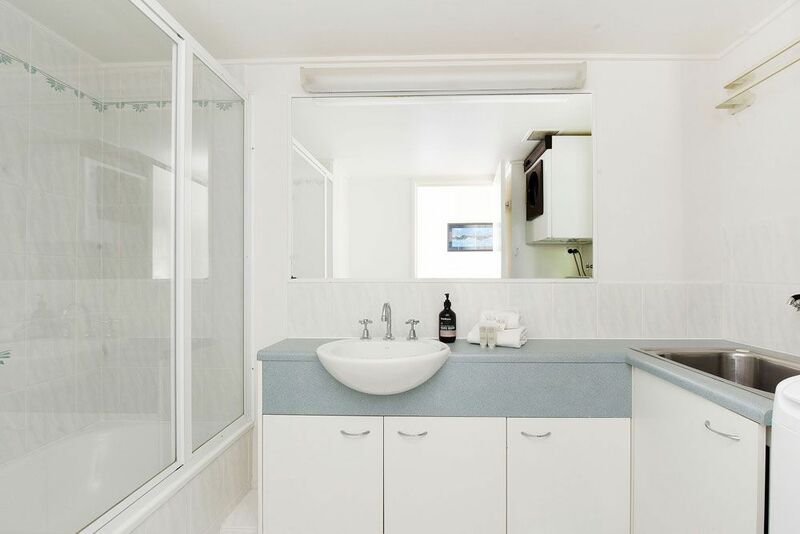 The large main bathroom has a combination bath and shower, large vanity area and has full laundry facilities, including a large capacity washer, tumble dryer and large laundry tub. 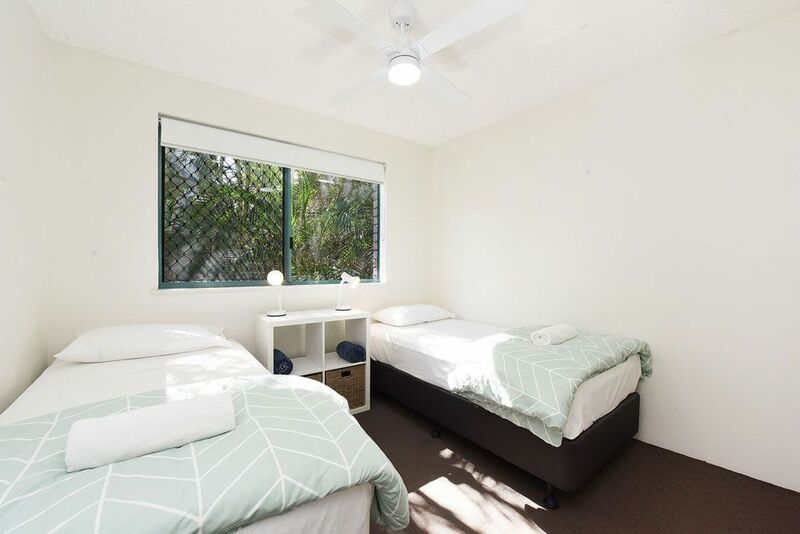 An iron, ironing board and clothes airer are provided for your use. 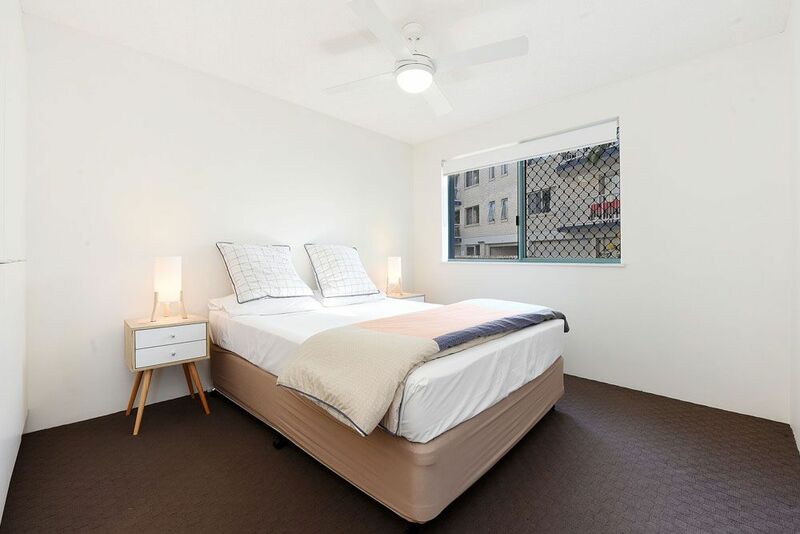 This gorgeous apartment has a secure, off street carspace with remote controlled garage door and is accessed from the lower entry driveway to the apartments.